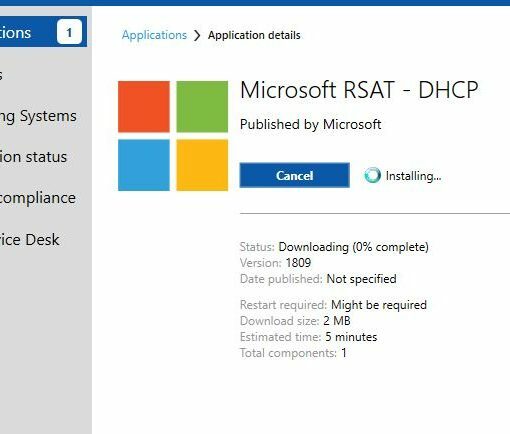 In this blog post we will look at signing the PowerShell scripts we use in the “App Detection Method” when distributing apps with ConfigMgr. 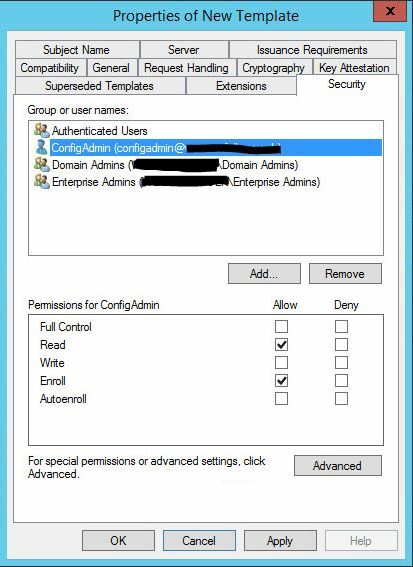 The PowerShell Execution Policy can be modified in Client Settings to allow ConfigMgr to execute unsigned scripts. 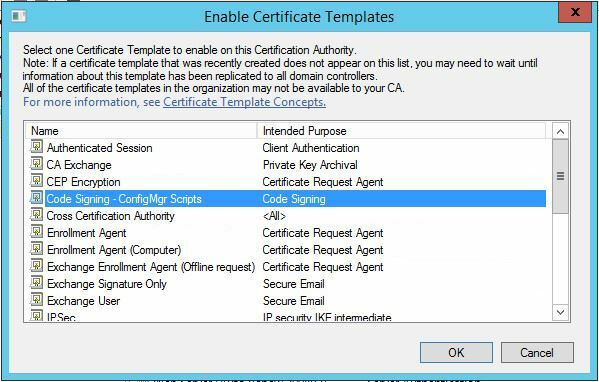 If your environment needs to be a bit tighter with script execution and you dont want to open up the Execution Policy, here is how you can sign the scripts using your own PKI infrastructure. 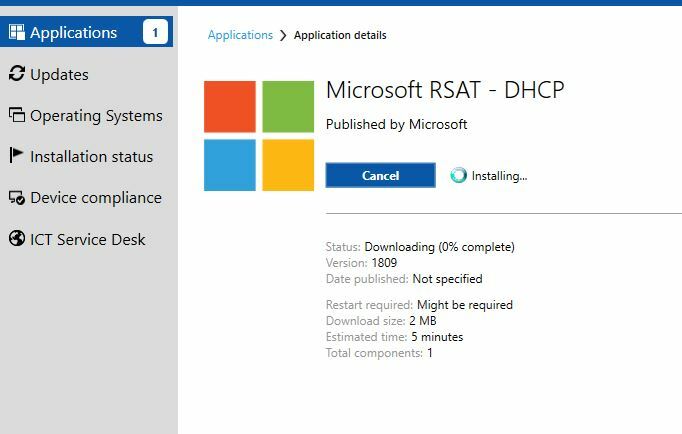 In the following example, we will be distributing the OneDrive client. 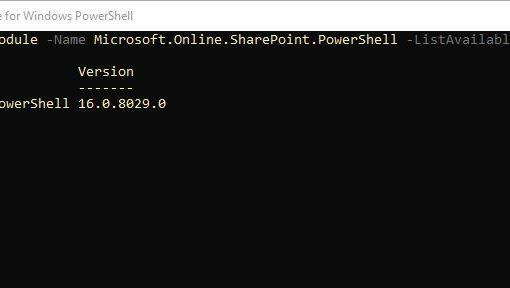 The PowerShell we use in the “App Detection Method” will check the OneDrive version, if it exists, for the current logged on user. 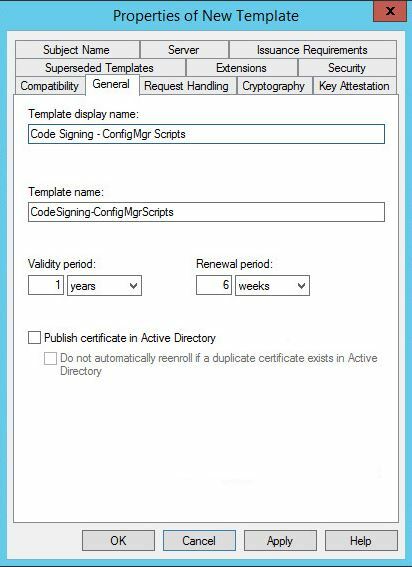 The first task will be to create a new Code Signing Template on your CA. If we use the out of the box template on the CA, the subject of the issued certificate will be the user who requests it. 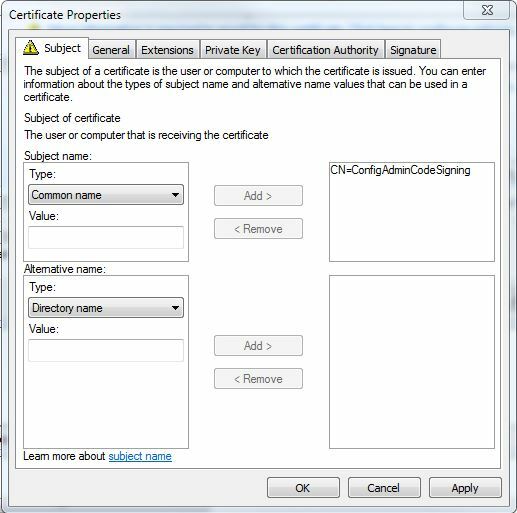 I like to use a general name for the code signing certificate. It looks tidier and i dont end up plastering my username in all my clients Trusted Publisher stores. 6. Click the “Subject Name” tab and choose the radio option “Supply in the request”. 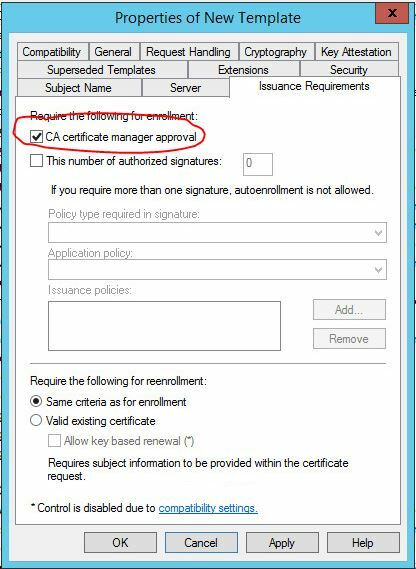 If you want to overcome the security risk, have the CA certificate manager approve any certificate request made of this template. 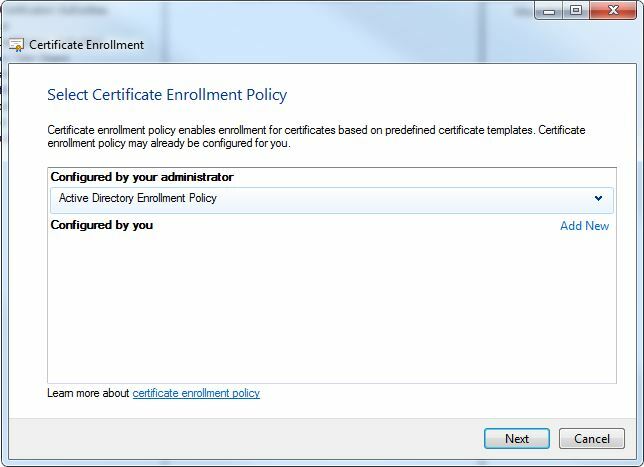 More on this can be found at https://blogs.technet.microsoft.com/pki/2011/03/08/ca-manager-approval-required-for-certificate-re-enrollment/ but essentially you can choose to require “CA certificate manager approval” from the “Issuance Requirements” tab. 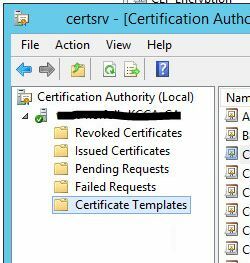 If you select CA Manager Approval, you will need to approve the certificate request from the “Pending Requests” folder in your certsrv.msc console. 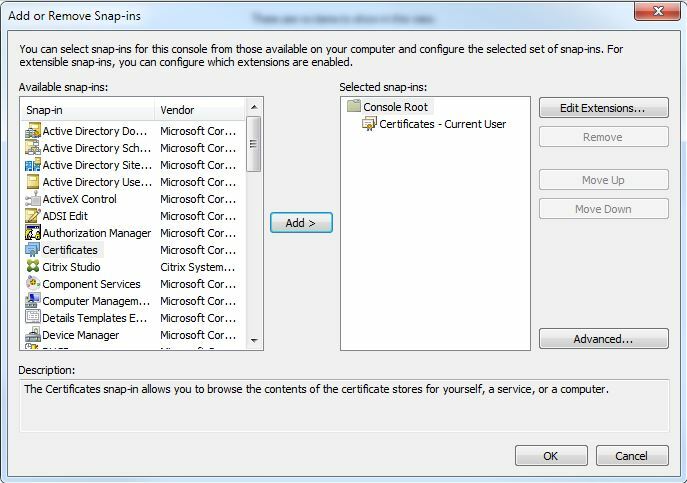 We will not be covering CA certificate manager approval in this post. 16. With the “Subject” tab highlighted, change the “Subject Name: Type” from “Full DN” to “Common name”. 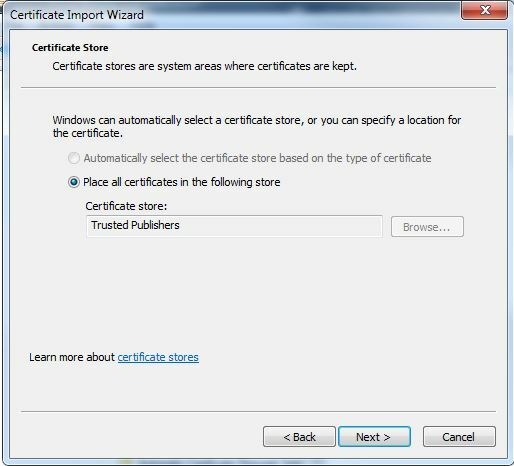 Enter a value (remember this is the certificate name that will appear in your clients Trusted publishers store after we push out the Certificate with GPO). In this example we used “ConfigAdminCodeSigning”. Press the “Add >” button. 21. 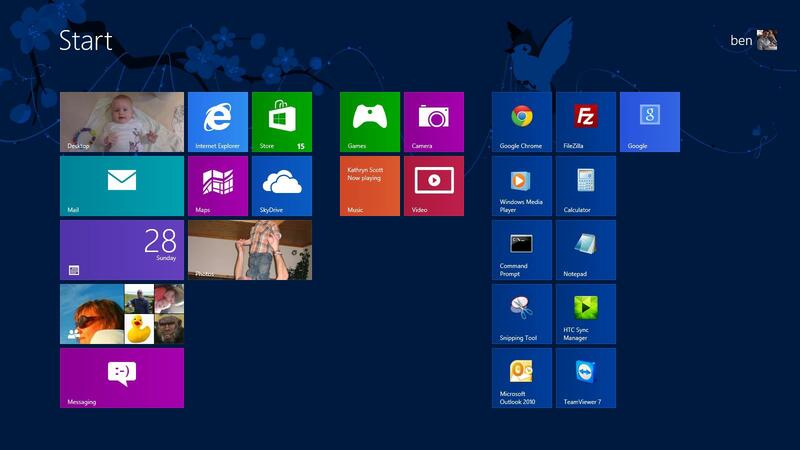 No more GUI, lets do some PowerShell. 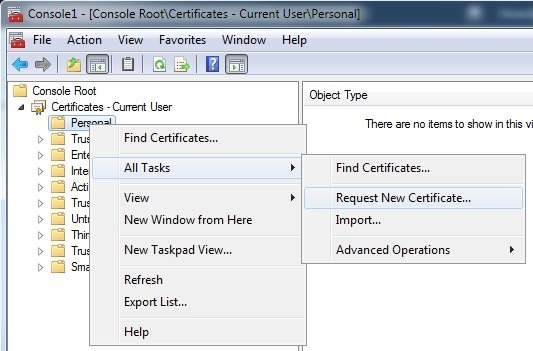 Open PowerShell as the same user you specified in Step 5 (The Code Signing certificate is in their Personal Store). 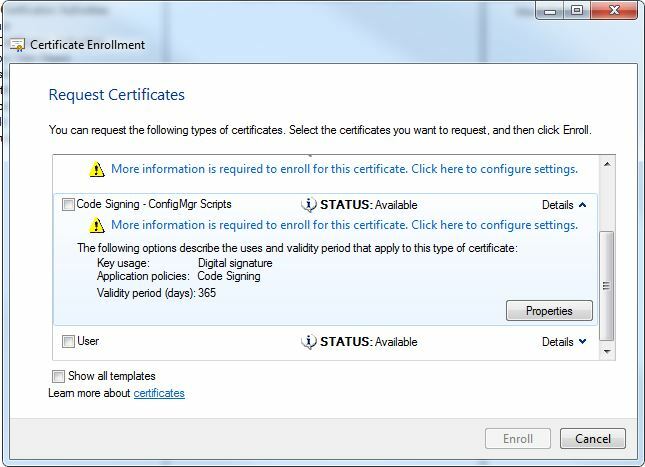 Assuming you only have the one Code Signing certificate in the Personal store, it will appear as above. 23. 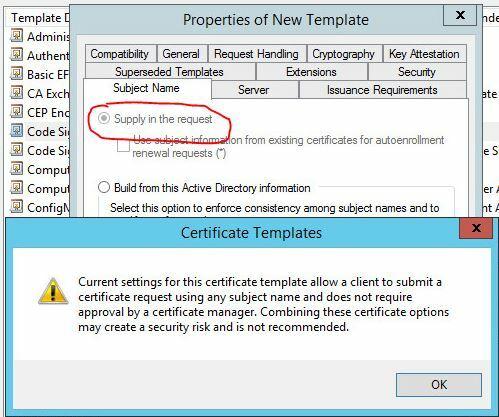 The following article shows us how to export the certificate in a DER format. 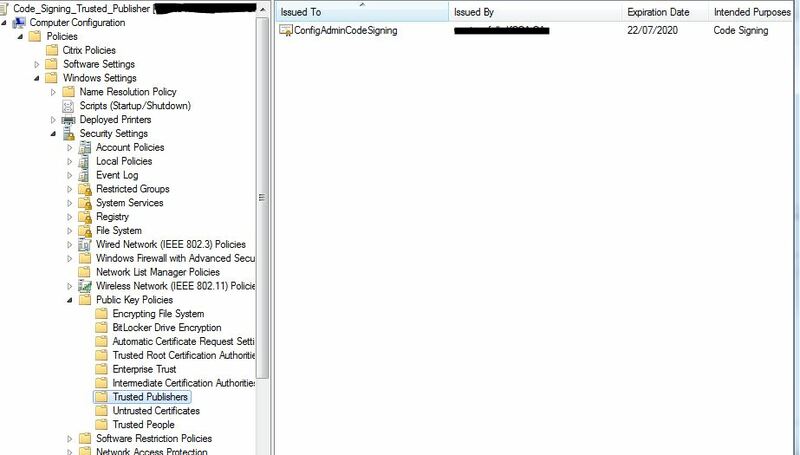 Where “589337BE00308546B611D456969B339FB155E400” is the Thumbprint of the Code Signing Certificate (yours will be different). Now we can start signing our scripts. 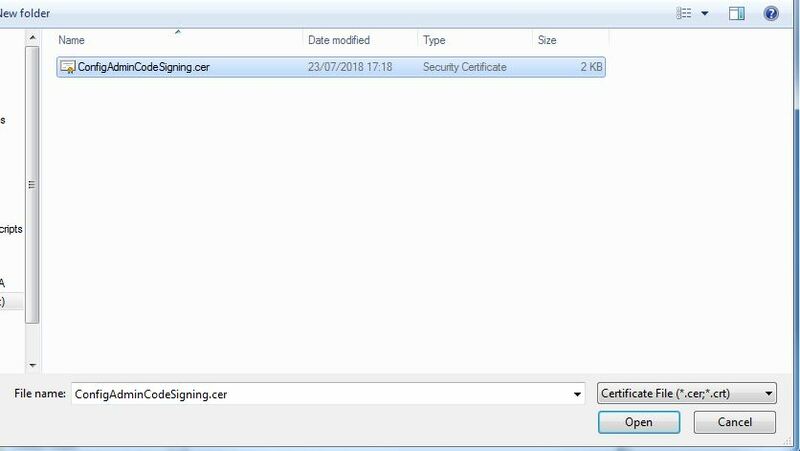 We have the signing certificate in the Current User (as specified in Step 9) Personal store, this user will sign the scripts and the clients should have the matching Code Signing DER (.cer) certificate in their Local Machine “Trusted Publisher” store. 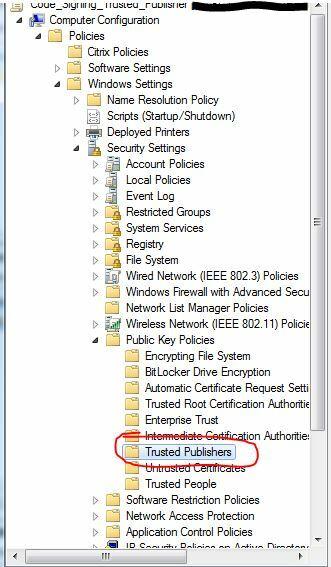 For the sake of the example below, create a folder in the root called “PS1” e.g. C:\PS1 – This is where we will put the PowerShell scripts we want to sign. 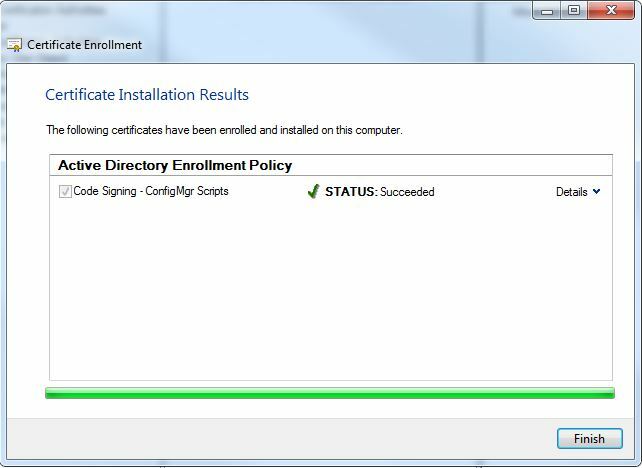 Everytime you modify the script, you will have to re-sign in it. For that reason, i create a copy of the script I want to sign. For example, the script I want to sign is called “check-onedriveversion.ps1”. 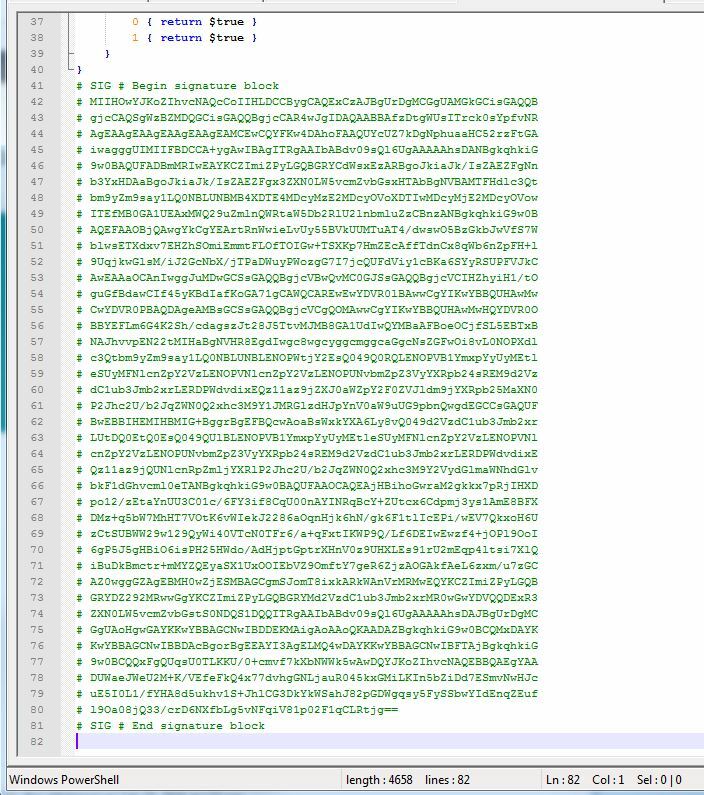 I create a copy of this file and name it “check-onedriveversion_signed.ps1”. It is the later file that I will sign – leaving the original script unchanged. 36. 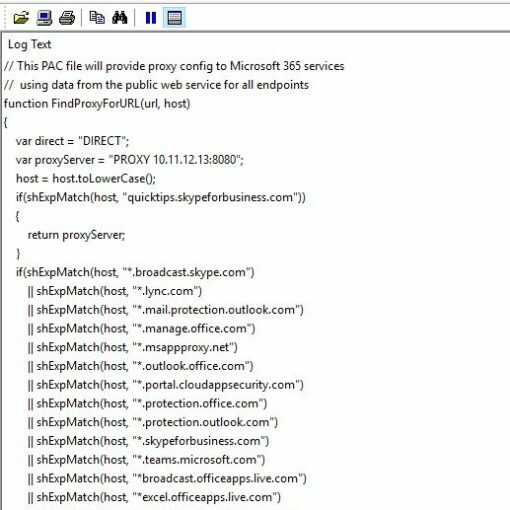 Launch PowerShell as the user we identified in Step 9, on the same computer (this is where the code signing certificate is). 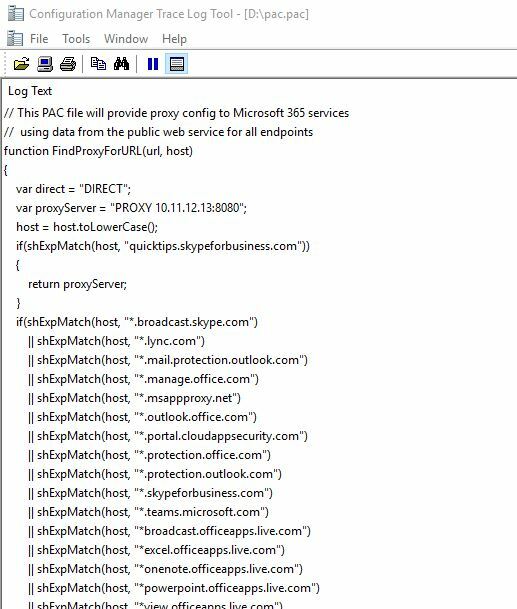 This is what the log file would have shown if your scripts were not signed and the clients Execution Policy expected allowed execution of signed scripts only.